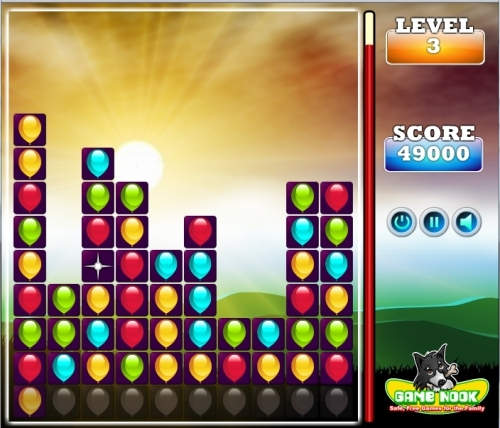 Description Balloons Go is a high-scoring game where you will destroy the adjacent similar blocks by clicking on them. There will be many power-ups which will help you in critical situations. Controls Use mouse to destroy the blocks. Use the power-ups for destroying the more blocks.